Autoblogging is different than scheduling WordPress posts to publish at a later date. When scheduling posts, you are adding pre-written content to your post editor and specifying the time you would like it to be published. With autoblogging, you are scheduling software to find, compile, and publish the content it finds on your site. Whether you agree with the use of autoblogging software or not, automated content creation tools exist and many online marketers use these tools to populate their blogs with content. Adding content to affiliate sites and AdSense sites. 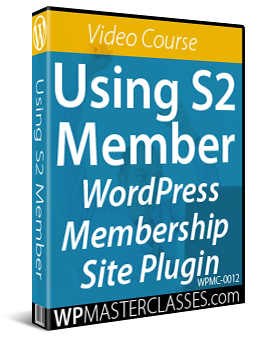 There are a number of WordPress plugins you can use for autoblogging. 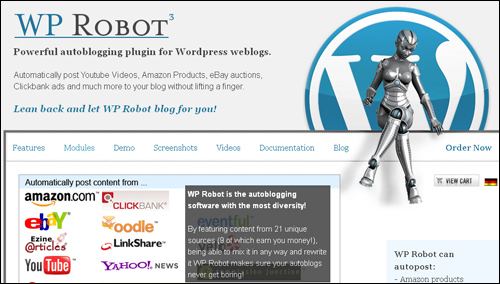 A very popular autoblogging tool is WP Robot. 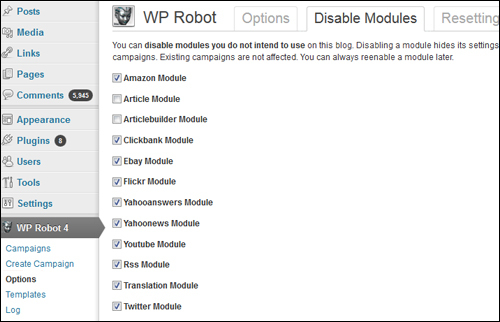 WP Robot is a powerful and easy-to-use autoblogging plugin for WordPress. It allows you drip-feed content to your site on auto-pilot at regular intervals that you specify. Your posts will then be targeted to any keyword you select and in any topic you choose. 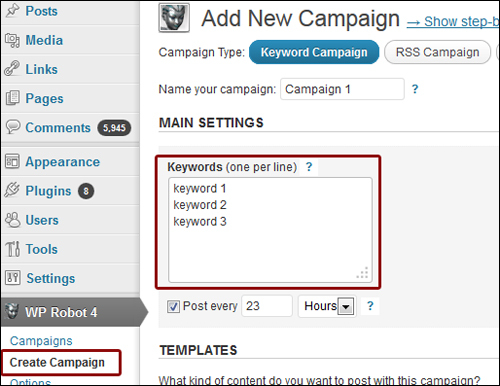 Autoblogging For Any Topic – WP Robot can create automatic posts for any topic or keyword you want. Unlimited Keywords And Campaigns – Create posts for an unlimited number of keywords. Monetization Via Affiliate Networks – You can post content that includes affiliate products from a number of major affiliate networks and earn affiliate commission from your posts. 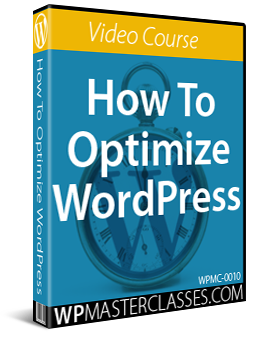 Customizable Post Templates – The templating system of WP Robot makes it possible to customize everything. You can define the look of your autoposts, combine different modules, and even randomize the output. Randomization – WP Robot offers many randomization options to help you create a natural-feel for your posts and avoid creating distinct footprints that could be detected by search engines. Compatible With All WordPress Themes – WP Robot supports all WordPress themes, including special video, image gallery or shopping themes. 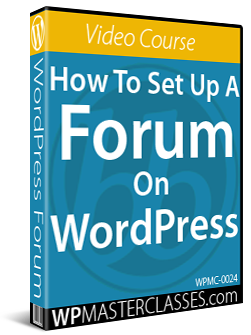 Autoblogging With No Setup – WP Robot works immediately out of the box. By default, the plugin uses WordPress own cron-job but advanced users can also set up their own. Completely Legal – WP Robot uses official API programs by the content providers it sources content from. Featured Images and Image Storage – The plugin allows you to save all remote images to your own server automatically to improve your search results. 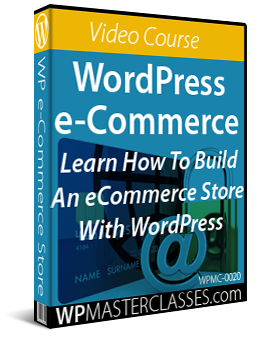 WP Robot also sets a featured image for use in your WordPress theme. Support Many International Languages – You can autopost content in German, Spanish, Italian, French and many other languages. Automatic Tagging and Keyword Replace – WP Robot adds related tags to your site for each created autopost. You can also choose to have the plugin replace certain keywords or insert links. Bulk Posting and Backdating – WP Robot lets you create hundreds of articles and backdate them to fill a newly-created site with content. Content Curation and Manual Review – You can add your own text and create draft posts that you can review before publishing. Detailed Logs and Reporting – WP Robot keeps a detailed log and report of all automatic posts it creates. No Duplicate Content – Advanced checks and verifications prevent the plugin from posting the same piece of content to your site twice. Spinning Software Integration – WP Robot integrates with several popular rewriting programs to automatically “spin” articles posted by the plugin. Set Up Multiple Autoblogs – WP Robot integrates with software that lets you manage multiple WordPress sites from one central dashboard. 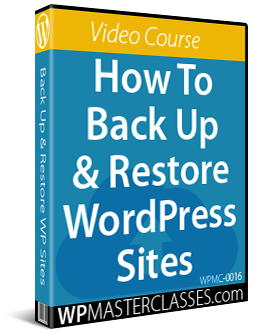 This lets you control the WP Robot plugin in bulk on multiple sites, bulk create campaigns on dozens of sites, copy settings from site to site and more. WP Robot provides full documentation including step-by-step tutorial and videos on how to install, configure, and use the plugin. Hopefully, this tutorial has given you insights and ideas about using automated content generation tools. For more ideas, methods, tips, and strategies on ways to create web content, we recommend subscribing to our FREE content creation course. Additional images in this tutorial were sourced from WP Robot’s online documentation.